Coal-fired power plants in the U.S. require the use of electrostatic precipitators or bag houses to filter out very fine fly ash particles incorporated into flow gas. The ash is collected while the flue gas passes through filter bags or large electrodes and then falls into hoppers. As the hot fly ash cools, it may condense on the hopper walls. The mixture of dry, sulfur-rich fly ash and water is very problematic, so it is very important that there is no condensation in the collection hoppers. The mixture of water and fly ash can cause the hopper to block up (or "pluggage "), and most importantly, residual sulfur in the flue gas will combine with condensate to form sulfuric acid. The sulfuric acid attacks the inside of the hopper walls, causing corrosion, weakening walls and generating significant (and costly) maintenance problems over time. Efficient and continuous removal of fly ash is essential for all coal-fired power plants. Collection hoppers are an integral part of the removal process. Plugging or inoperable hoppers are a known problem for engineers and maintenance crews. Constant maintenance and excess downtime seriously prevent a plant's ability to manage the production rate of fly ash. Slower fly ash production means a reduction in energy production and efficiency. The power generation of a power station is directly proportional to its rate of combustion of coal, which in turn directly affects the production of fly ash. The maintenance personnel usually attempt to remedy ash system failures in real time by disabling the affected hopper, while continually generating electricity and ash. In some situations (to prevent shutdowns of boilers), ash will be dumped on the floor, requiring costly cleaning. Evacuation and management of fly ash is much easier if the ash is kept warm. One of the most common ways of maintaining high fly ash and hopper temperatures is by connecting electric hopper heaters to the outside hopper walls. Hopper heaters play a very important role in removing the fly ash from precipitators and bag filter walls by keeping the hopper temperatures over the flue gas acid dew point. The only function of the hopper heater is to preheat the hopper and the internal environment to prevent the formation of moisture, fly ash clumping and the development of sulphuric acid. 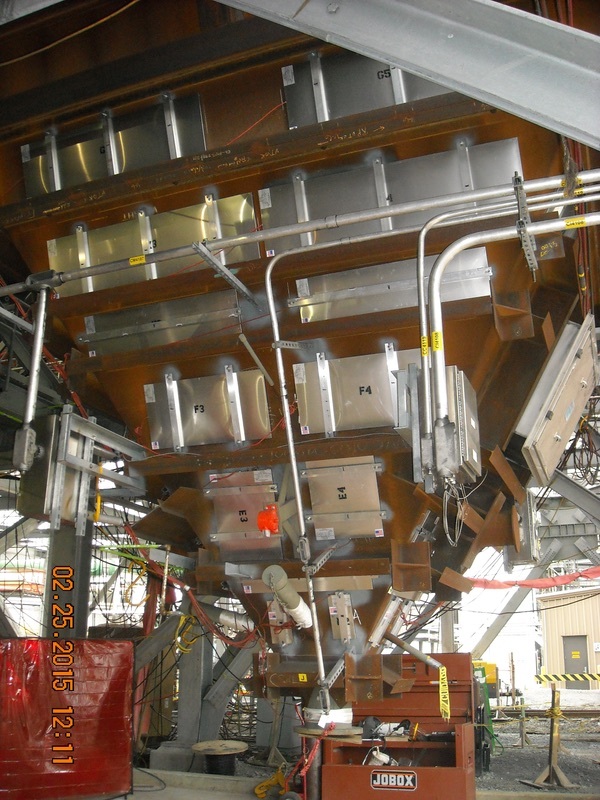 Hopper heaters are designed for a dirty, high-vibration power plant environment. They provide the optimum watt density for proper thermal transfer through the hopper wall and uniform heating. They are available in square, rectangular and trapezoidal shapes for any hopper design. For poke tubes, man-ways and cylindrical throats, ancillary flexible heating cloths are available. The use of electric hopper heaters in electrostatic precipitator and bag house fly ash collection systems is an effective time-tested way to prevent condensation and the resulting clumping and corrosive acids in hopper products, thus providing better opportunities for continuous production of fly ash.